This is a very special @word_rocks to me. 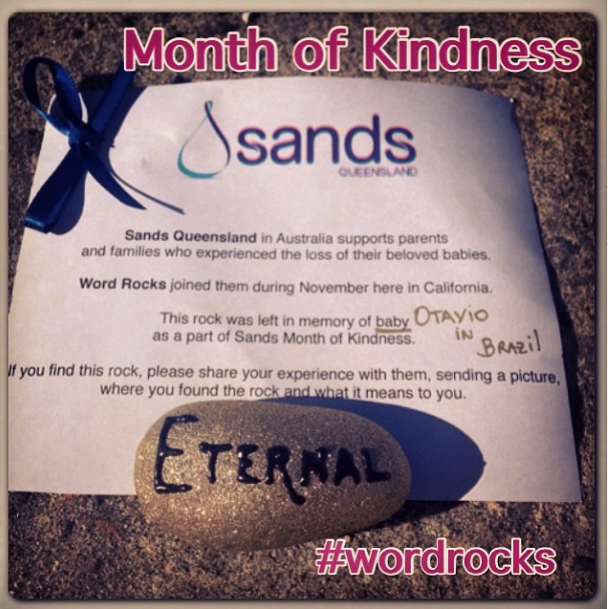 I left it at Cardiff Beach to honor my baby brother who would be turning 42 this year. I always guess what life would have been with him around. My mom who lives in Brazil chose the word ETERNAL to represent him. These two @word_rocks were placed to honor my cousin Lelo who passed away almost three years ago. My aunt chose the 'carpet diem' to represent him. it means 'seize the day' in English. My uncle chose 'the man' as he was an amazing person to everyone around him. 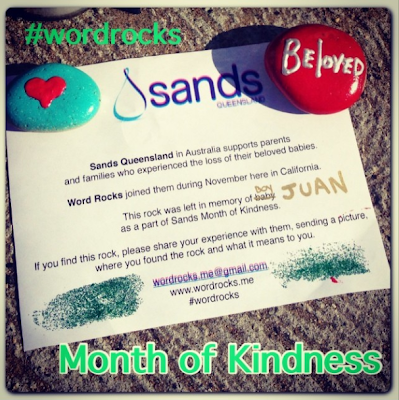 Yesterday during soccer game I was talking to sweet Erin and she told me that her son Jack@jack_furgerson12 (my son's friend) suggested us to leave a @word_rocks at the spot where a 3-year-old boy who was killed by a car last week here in Encinitas. Thanks for sharing this thoughtful suggestion with us, Jack. 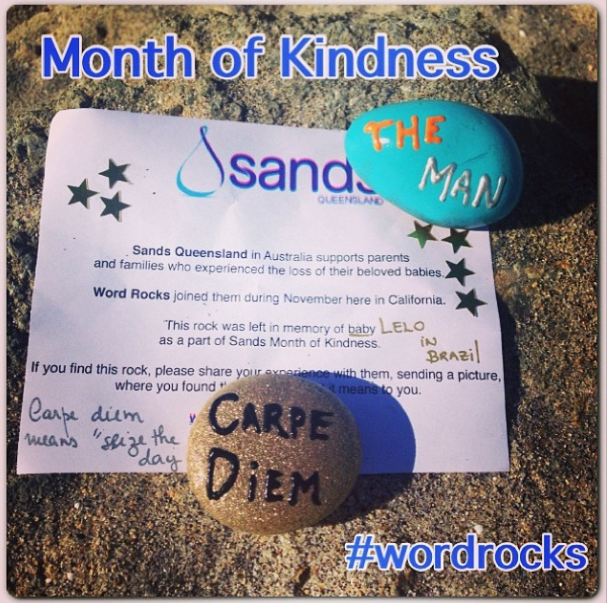 To read more about Month of Kindness please click here.